Most often we hear about the people who were leading a movement. While those who worked in the background are left in the shadows forever. During the civil rights movement there were plenty of people who worked in the background. One such person is Rustin Bayard. Mr Bayard was one of 12 children, born in West Chester,Pennsylvania. 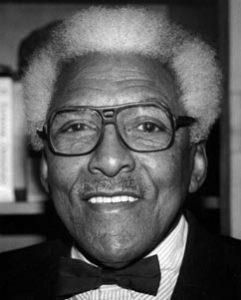 Amid times of great turbulence in the United States ,Rustin endured first hand the inequalities that being black brought with it. As a member of an all white high school football team, he was thrown out of a restaurant when the team went out for something to eat. In 1936 he joined the Young Communist League, but resigned five years later. His involvement with this association was used in an attempt to discredit him with Martin Luther King Jr and other civil rights leaders. One of his most noted experiences was a brutal beating he endured at the hands of white police officers in Tennessee when he refused to move to the back of the bus. Then in 1947 in North Carolina he was arrested for participating in a freedom ride. For that he spent 22 days on a CHAIN GANG. Two years after that he published his first hand account of his treatment while on the CHAIN GANG.As a result of his publication,CHAIN GANGS were abolished in North Carolina. One of his greatest contributions to the civil rights movement I believe was his assistance in the organization of the BOYCOTT against the Montgomery Bus company in Alabama and the Southern Christian Leadership Conference. You don’t have to a leader in order to effect change. Plenty of help is needed behind the scenes organizing!